Great work, that is very nice. I’m going down into the basement to throw my International TD 25 in the trash. Show us after you end your job in this model!!!! You know I wouldn’t throw my diecast away, I still have my Tonkas from the 70s. The only person who would really like to see my diecast in the trash is my wife, and probably the trash man if he is a collector of the mini equipment. You might have to give your painter a raise if he reads the DHS Forum. Your work however is just as nice, maybe why the paint looks so good. Certainly painting work makes a lot of difference. Bernardo has evolved more in his painting, his work is incredible. Each model gets better. 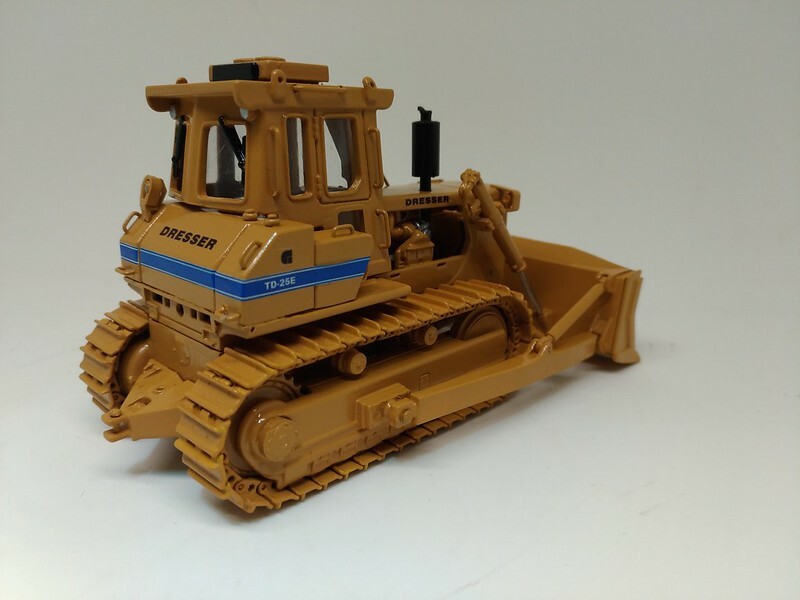 In this model TD25E is a much larger work of painting than any other. They are only details and adaptations for this version. For the next version that I will show now, before going on vacation, painting is important, but the manual work is very intense. The evolution was much larger than it seems in my models, so much so that I think of redoing some of them. The development time evolves, we find new materials, we develop new techniques, new decals arts. The final look is great and I hope do more on next! I'll be out for some days, but soon I'll post more!!! That’s the winner in my eyes for sure. I’ve been building that model in my head for a while now, been day dreaming about getting lucky and finding a cheap TD40B doner, but that’s probably as far as I’ll get. That is simply awesome. Is the fuel tank scratch built? 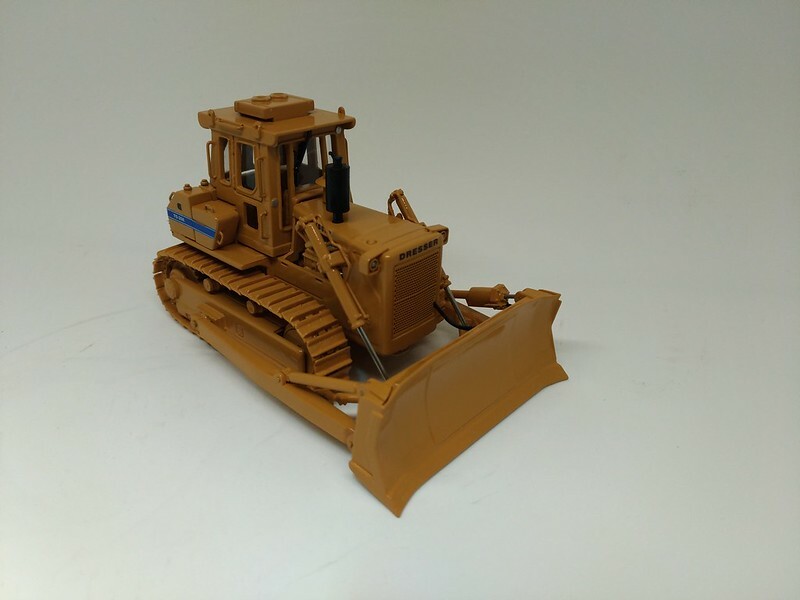 That cab is just incredible, you must have the machine right outside your window to get such detail. I know what you mean about getting better with every custom job. Quinella got me going on some ideas he had and now my wife has not seen me in a month and I’m only down in the basement. 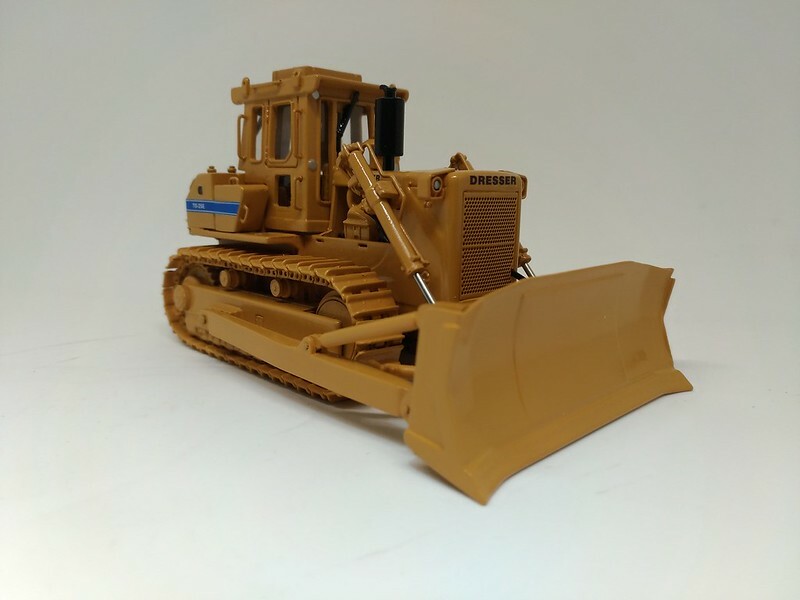 Doing the controls on a 50 scale dozer is very time consuming but after it is complete, like you said you come up with better ways of doing certain steps involved in the process. Granted what you achieve and what I achieve is night and day. The whole process is a lot of fun and helps with the stress of life. 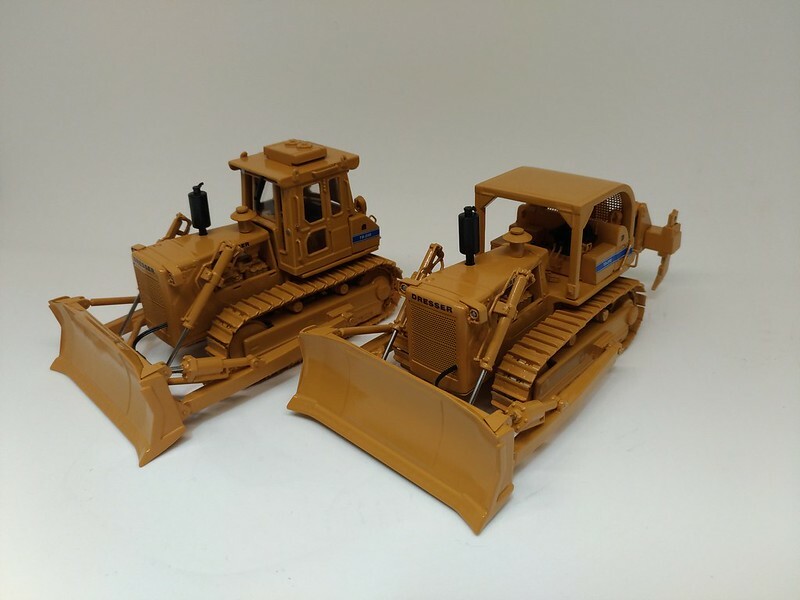 I also do site dioramas for the equipment I collect so I keep myself busy between doing my own customs and creating sites I’ve worked on over the years. What machine did you get these donor wheels and tires from? I have a 966c/r from Arpra also, and the only thing that looks really off is the Arpra wheels and tires because they are too small. I want to throw some new wheels and tires on it. sorry aboit long time without a answer. I am out of home on vacation. These fuel tanks are full scratch built. I spent many hours to do it. Only the cab was from td40. 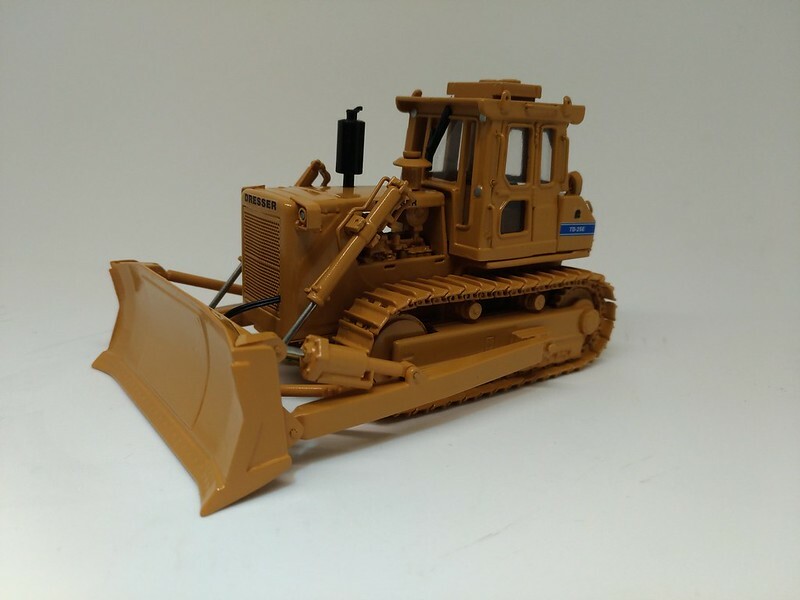 If you decide use a open rops cab you will not need a td40 and you can do the model withou any problem. It's not mine but I think I have more pics if you need information about it! thanks Craig. It was my favorite too. I will try do one for my self on future, but with open cab! Steve, for me is the same. I do not drink alcohol, I do not smoke but this is the way I send my stress out. I need to do it to be a happy guy! frusso at the end of the day you also have something to show for what you spent money on, (not empties lined up at the blue recycling bin)and with you what you add to the model you bought. When a new model is to be purchased and my wife gives me the look I always refer back to saying “would you like me to instead rent a stool at the local watering hole“and like magic within a week there is a brown box waiting for me in front of the garage. My wife really isn’t that bad. Again your work is outstanding. 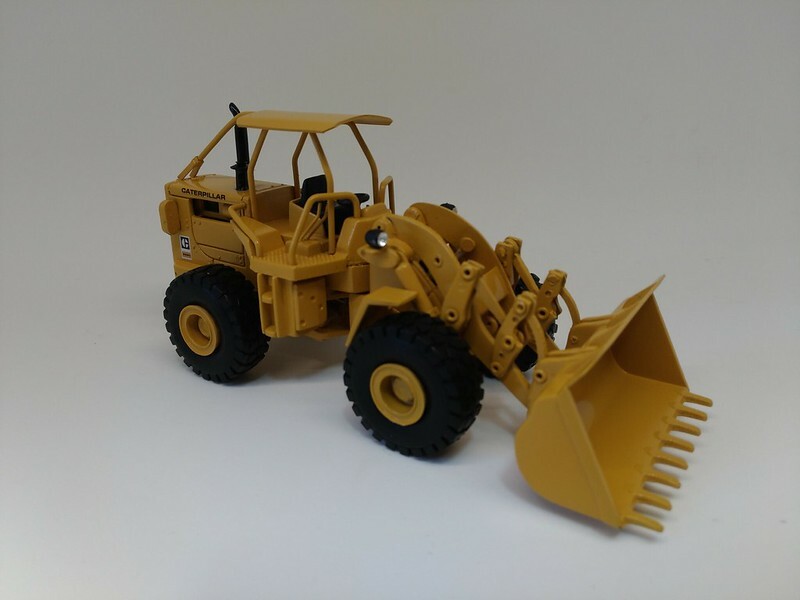 Sorry to bother you on vacation, I hope you took some tools and diecast with you because we need to see these customized dozers with no interruptions. you are a really funny Steve! 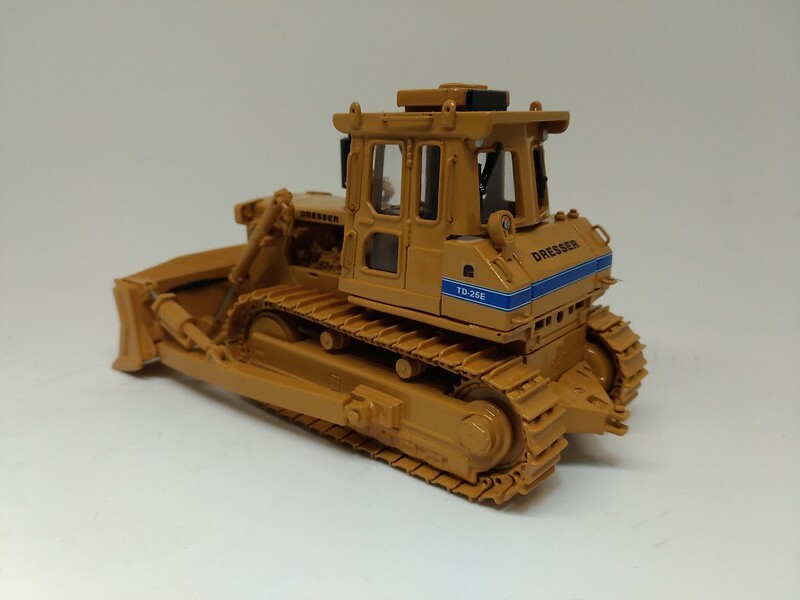 However dozers usually need metal tracks and it's not cheap. To make d8s usually I get tracks annd wheels from td25. So, including shipping and fees goes 100 dollars. The d8k from arpra plus 100 or 200 will depend from model condition. Now the dollar is to high and you can find good models to modify for 70 or less. I spent more 50 to 100 to paint all model. All other are made by hands, so I spend many and many hours to do some parts and details. I do my own decals, and must of arts I have already done. On next week I hope to have a Fiatallis 41B already to show all of you! frusso that is some serious money without even taking into consideration what your time is worth as you stated. I’m eager to see your 41B. I just did mine with the operators station, I do need to ramp up my painting skills. I also did a cab for Quinella for his 41B and he is getting his operators station this weekend, hopefully he will like it. 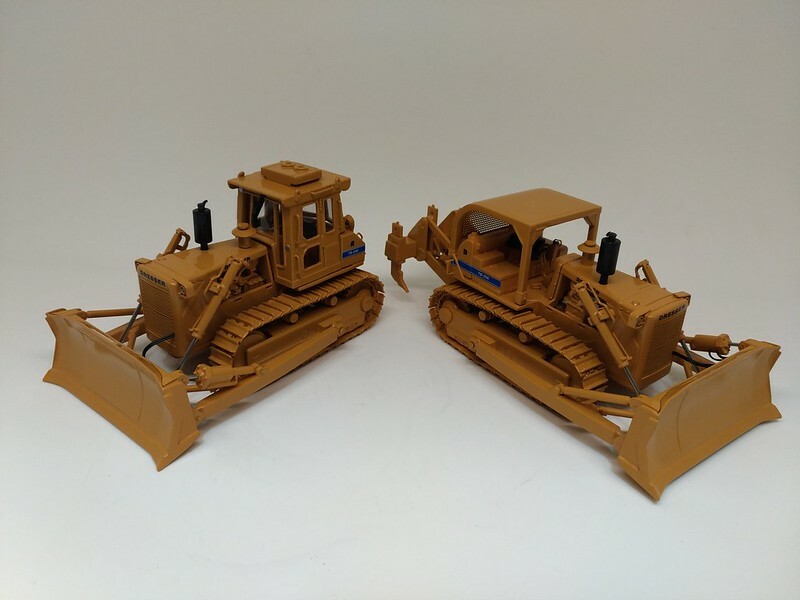 I also just completed an NZG Cat D4E with operators station and ROPS. I’m trying something new with the D4 by making an air cleaner for it, will see how it works out. Again I’m looking forward to see your completed 41B known to us Tar Heels and bluebellies as “Big Allis”. yes Steve, is far from cheap. I hope send pics from my 41B soon. I've done a D4E too and I can send pics if you want! I just need come back home. frusso would love to see your D4 pictures. I have been trying to post pictures on here, but I think Quinella fixed this site so it won’t allow me to, he has to much time on his hands. 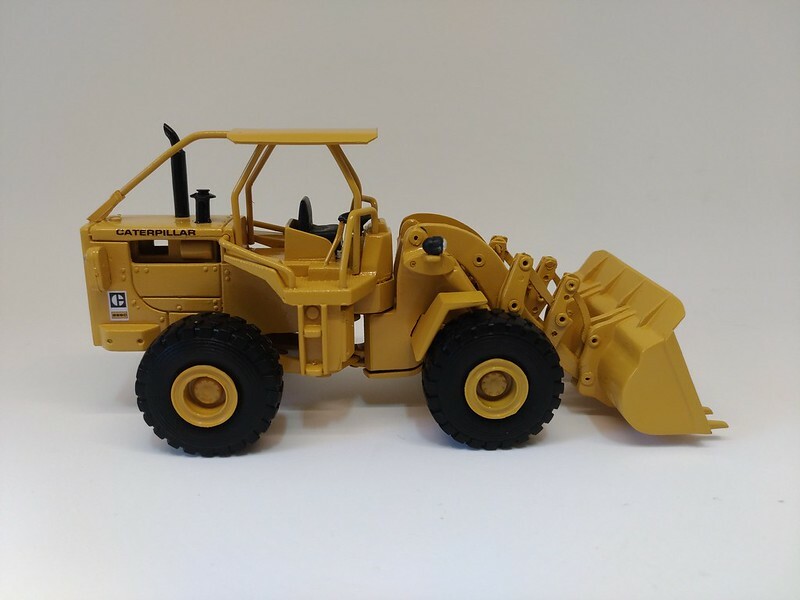 thanks for sharing your steps on the 966 wheels - they are a great improvement and make the wheel loader look as strong and sturdy as it should look. Have you ever thought about painting a DRESSER TD40 in white? Should look real good. I will send for you as soon as I come beck home Steve! yes Max. However this work was made by Bernardo because the job was only do a new muffler and paint. I've done just the decals. I will post pics from this model when I come back home!